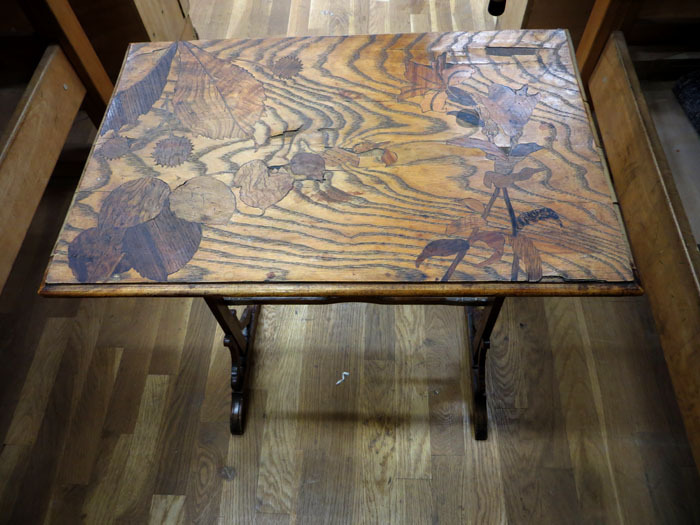 During my time at Boulle I spent three weeks in the restoration workshop. 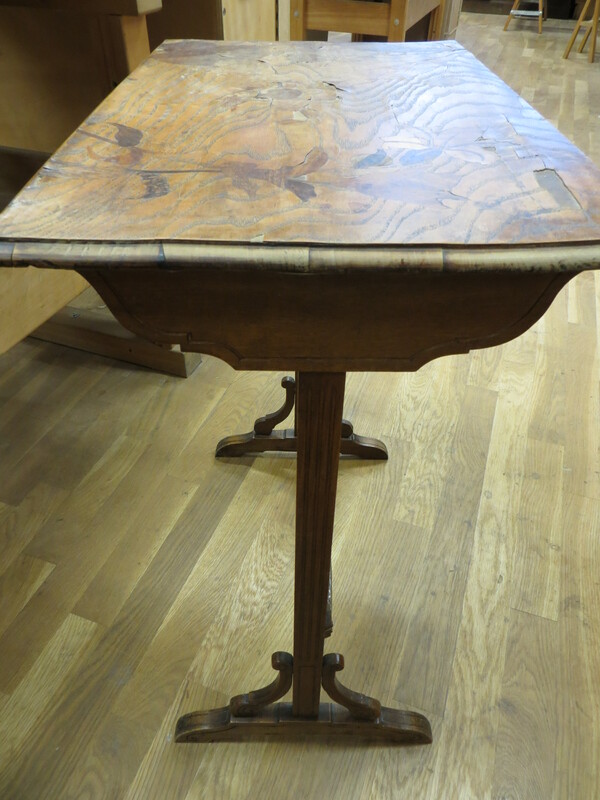 I had to restore a table from the beginning of the 20th century. 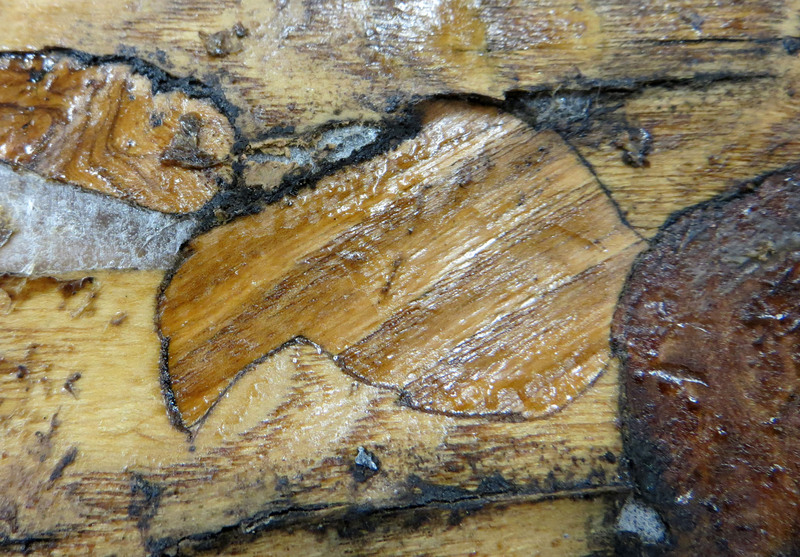 The marquetry was very damaged. 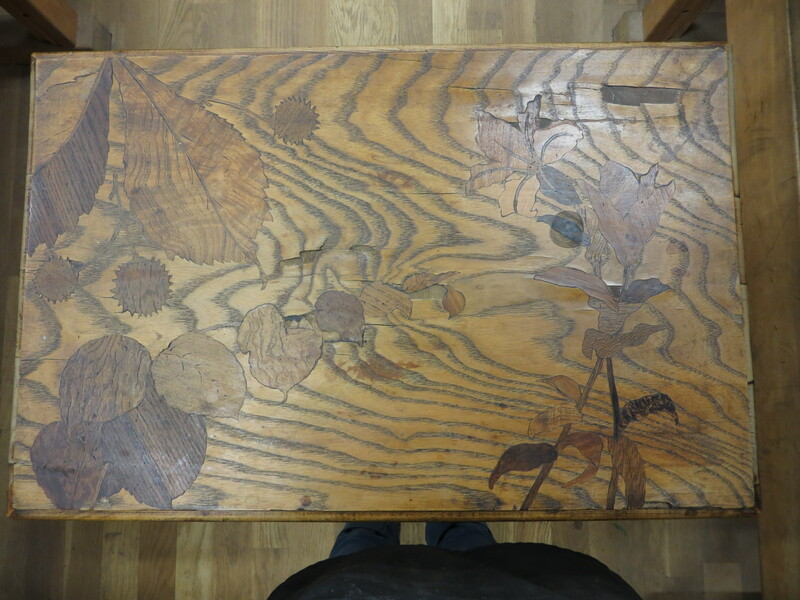 I discovered the work and the ethic of a furniture restorer. 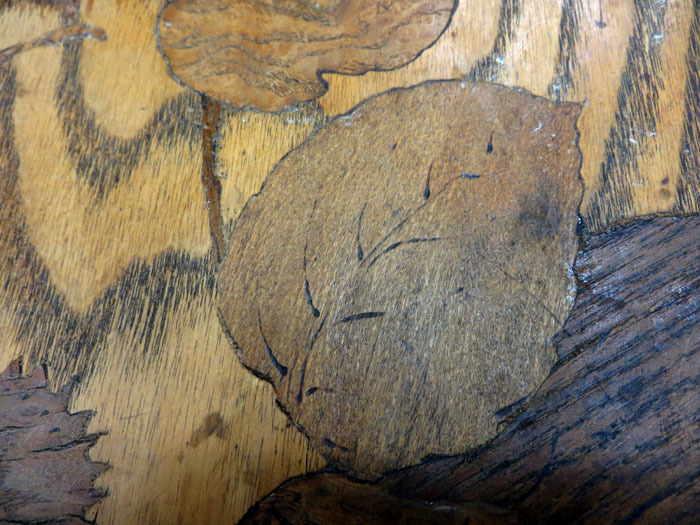 The marquetry represented flowers and leaves but in some places, the damages were so important that we could not even see what the original drawing was. I had to imagine and recreate the pattern and saw new pieces to replace the most damaged ones. 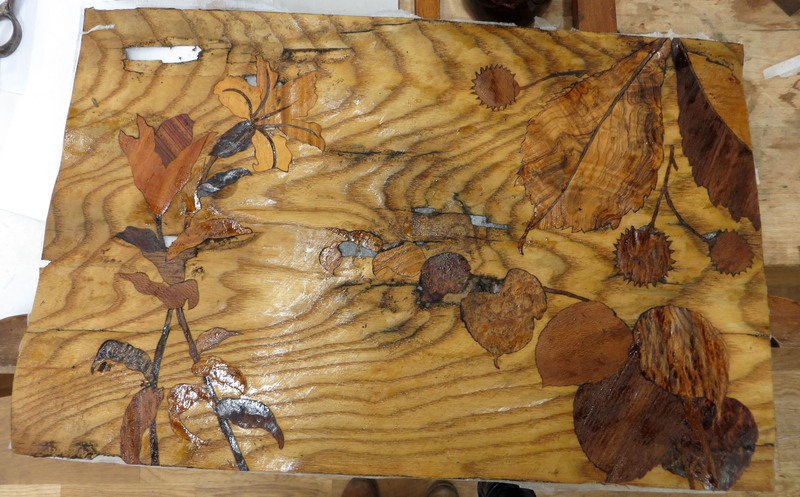 In order to fix the marquetry I had to take it off from the table. 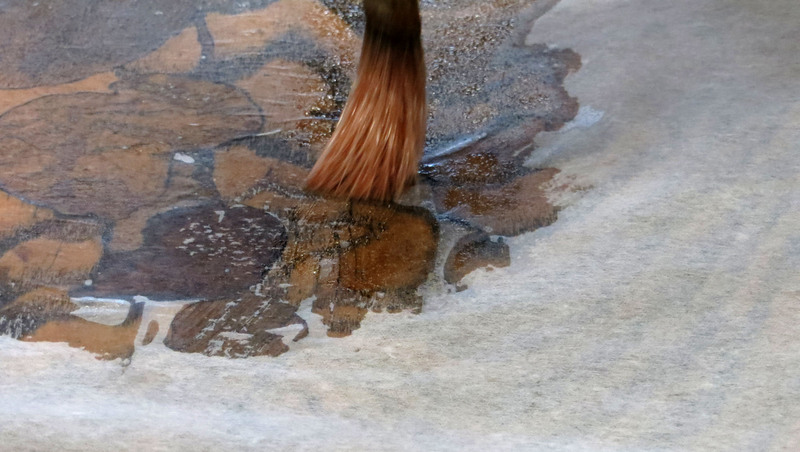 I used a japanese paper and epoxy glue to fix the marquetry on the paper. Then I heated it up and I slipped a spatula under it to lift it. 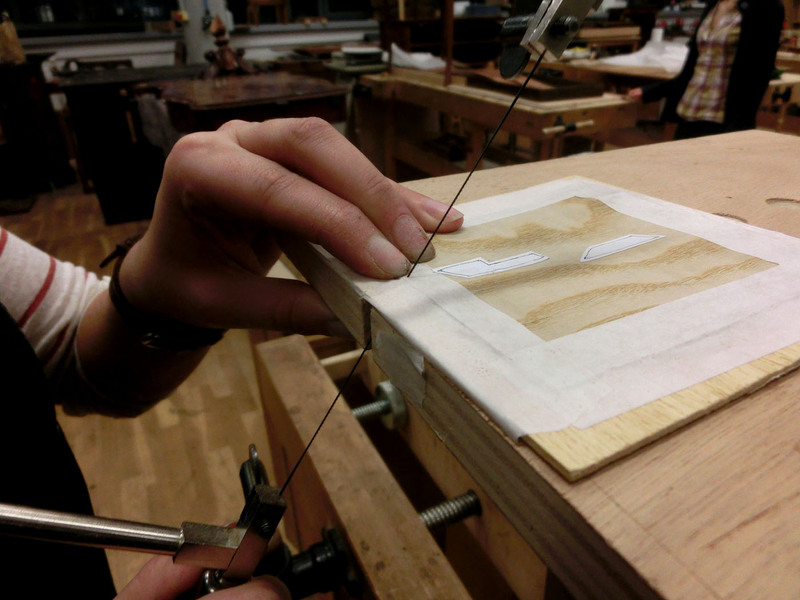 Since I was in the restoration workshop for a short time, I decided to saw the missing pieces with the traditional technique.